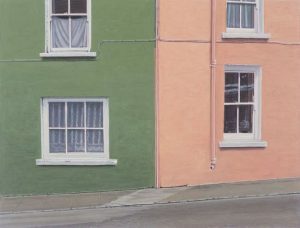 Louis le Brocquy, Sean McSweeney, Markey Robinson, Peter Curling, Felim Egan, Edward Delaney and Brian Ballard are among the familiar names at Whyte’s summer auction in Dublin at 6 pm on July 9. 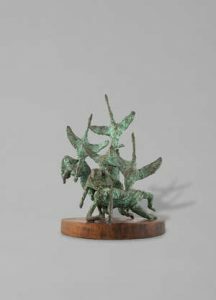 There will be nearly 300 lots with estimates from a little as 100 euro making this sale a great opportunity for emerging collectors. 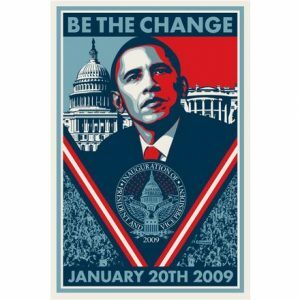 Lot 63 is the 2009 Obama inauguration poster by Shepard Fairey signed by the artist and estimated at 500-700. 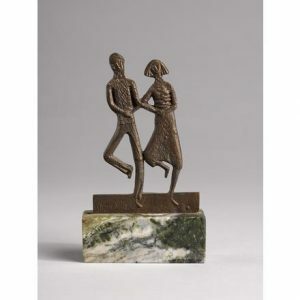 Ceili Dancers by Oisin Kelly, less than six inches high and on a Connemara marble base, is estimated at just 300-500. 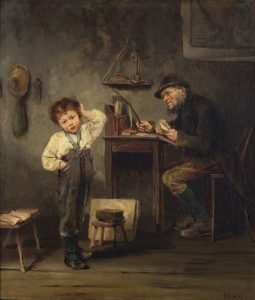 For this sale Whyte’s has changed its live bidding platform. 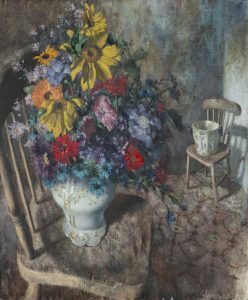 There will be no extra charge for live bidding on the auction if it is done through Whyte’s. Those who have already registered with the firm will have to do so again to avail of this. Third party auction platforms like Invaluable or The Saleroom will charge the customer 3% to 5% plus VAT. The catalogue is online.